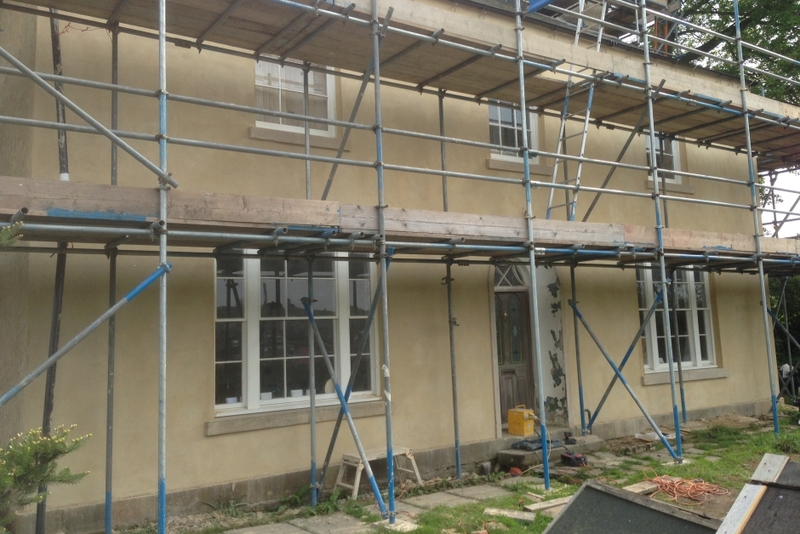 Skillingtons don’t only work on grand country houses! 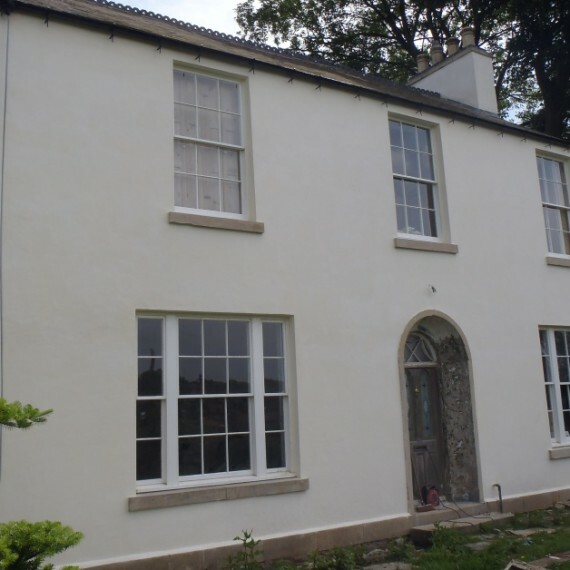 As an example, during early 2014 we completely re-rendered the exterior of a privately owned listed Georgian house near Mansfield in Derbyshire. 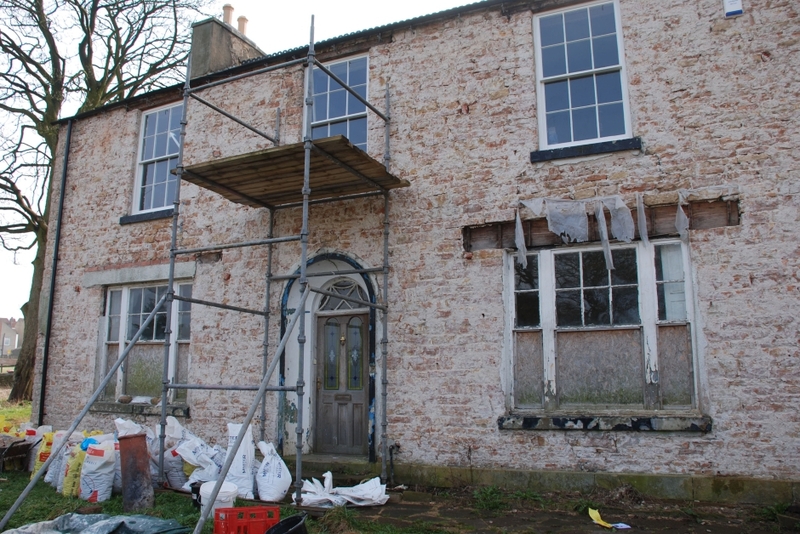 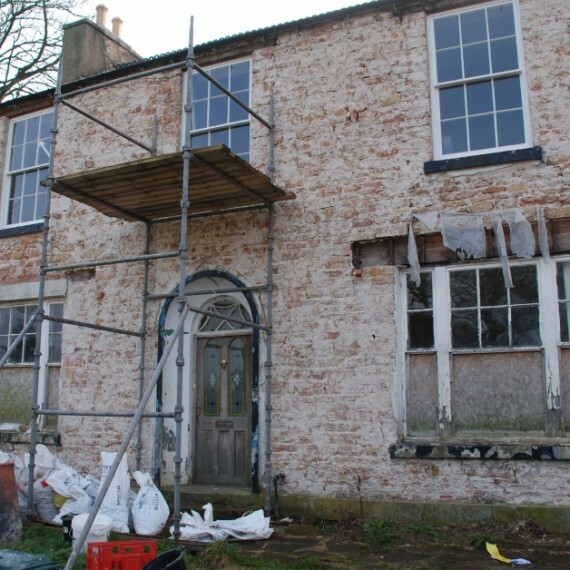 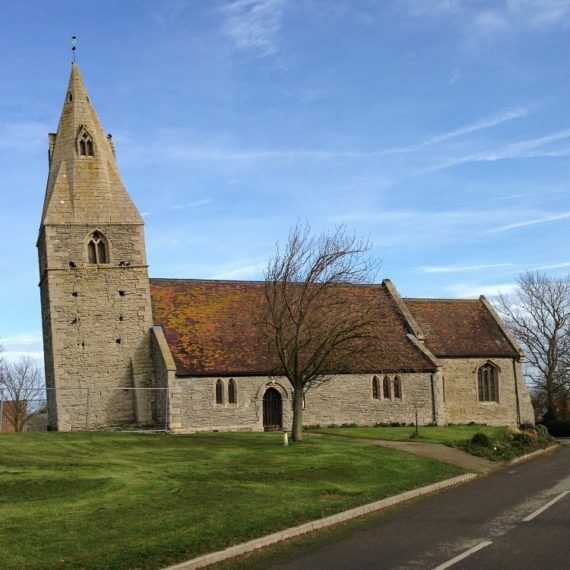 We worked with the owner to advise regarding the removal of the existing cement render and the provision of scaffold access before we re-plastered all walls and chimneys in three-coat NHL3.5 hydraulic lime and sand render reinforced with goat hair. 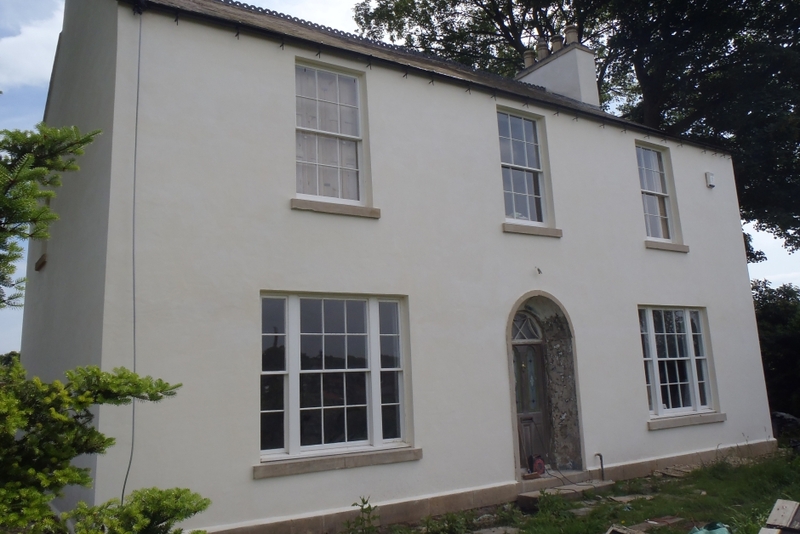 We then decorated the 400m2 of new plaster in four coats of casein limewash. 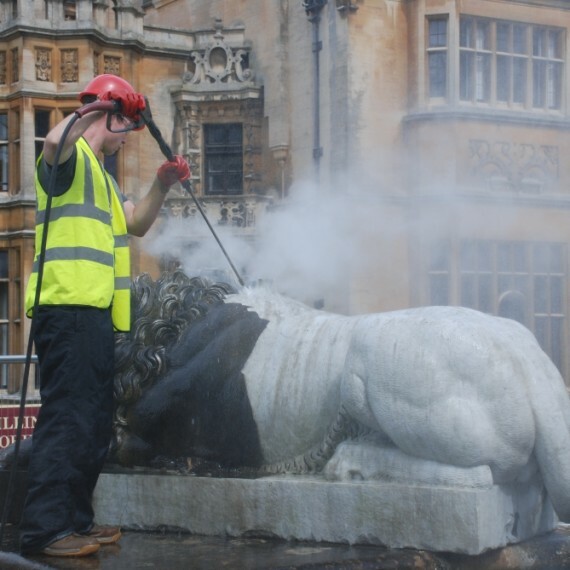 The Lion Terrace is a feature to the rear of Harlaxton Manor, near Grantham, Lincolnshire, laid... Read more! 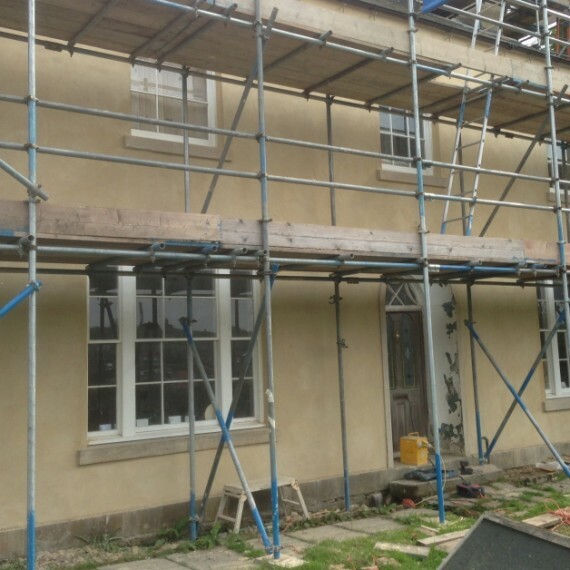 Skillingtons don’t only work on grand country houses! 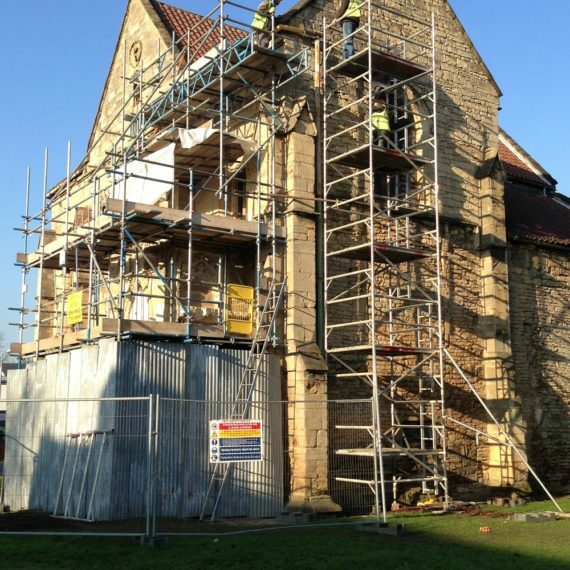 As an example, during early 2014 we... Read more!